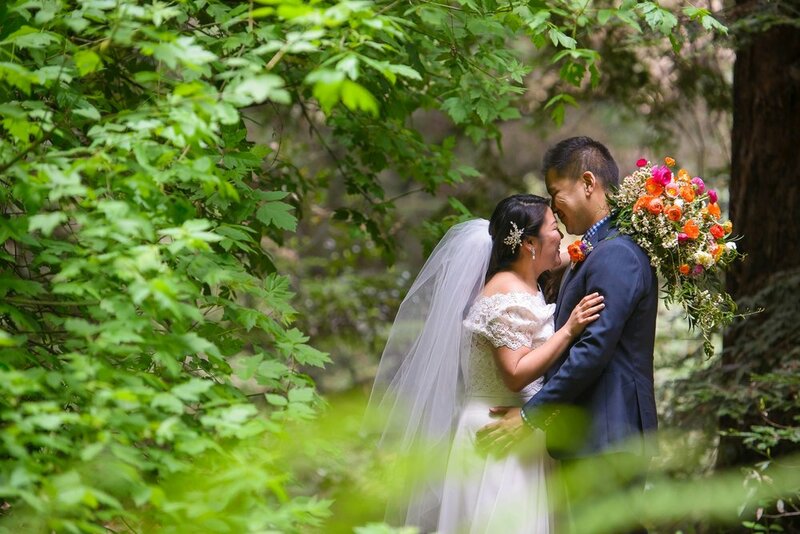 Today I'm excited to share my favorite images from Amy and Adam's Oakland Redwood Regional Park Old Church wedding! 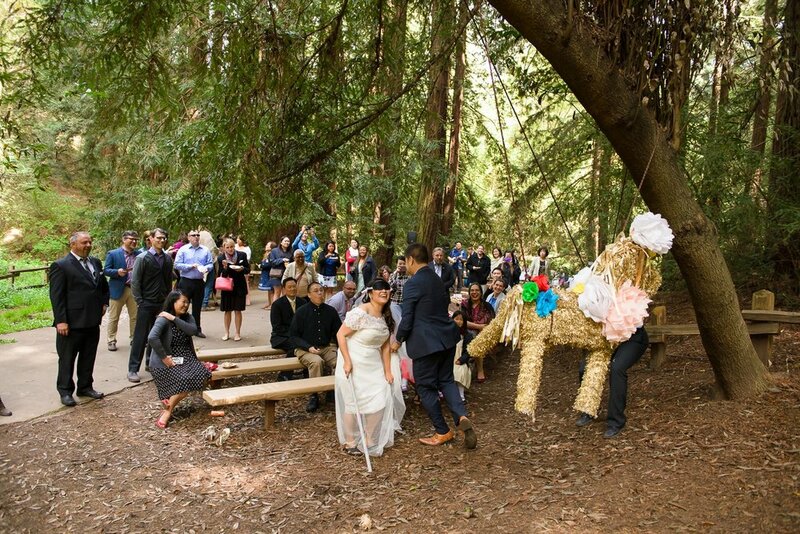 This was one of the most fun weddings I've ever been to. 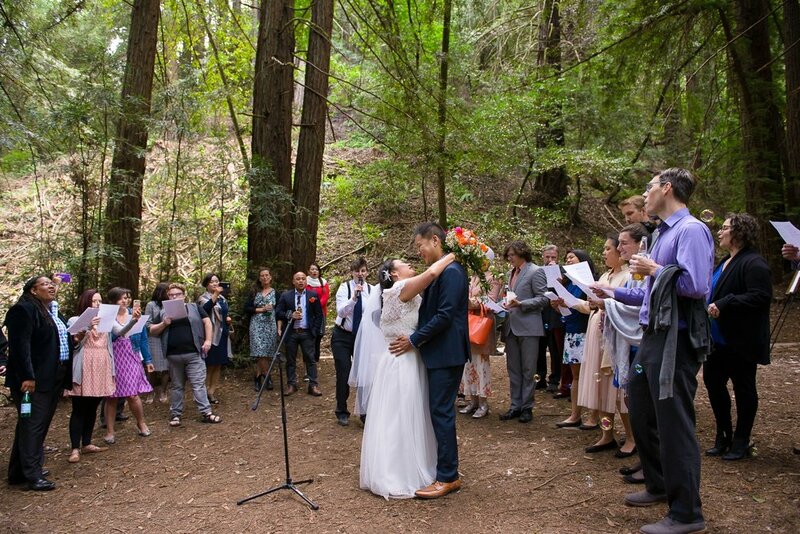 A beautiful ceremony with a tree planting, a ukulele player, sing-alongs, llamas, s'mores and a pinata--all under the redwoods. I MEAN COME ON. After some portrait time it was time to make things official. And then it was time to celebrate, starting with a sing-along/serenade. 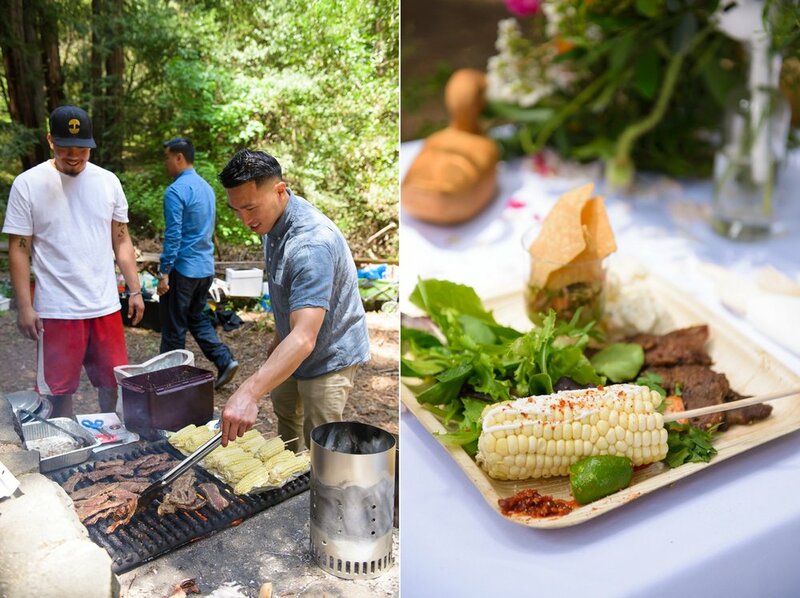 And then everyone was invited over the tables to enjoy Korean BBQ, ceviche, elotes and the redwoods while Lenny played the ukulele. Also shoutout to Chai's Cakes for making one of the most beautiful cakes I've ever seen! What IS a toast without a surprise performance of Dido?? 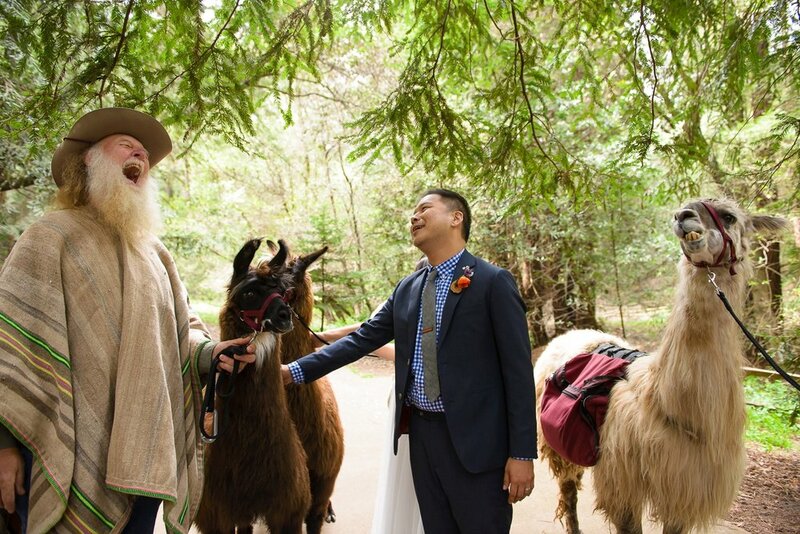 Just as Amy and Adam cut the cake there was yet another surprise--LLAMAS! Thank you again to Amy and Adam for having me along to photograph this beautiful and fun day!